Nowadays, WhatsApp is one of the most popular iOS messenger applications in South America, Asia and Europe. It is part of our daily lives for most of us. If you are curious about number of messages that you received through this application, you can learn how to find out this on this page. There is a tutorial with pictures below. You can check all steps and pictures and find out how many messages you received. You can ask us if you have any questions regarding this subject. I Reset Settings, Can I See Old Data? 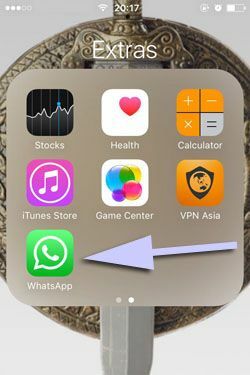 1-) Run WhatsApp Messenger on your iPhone, iPad or any other iOS device. 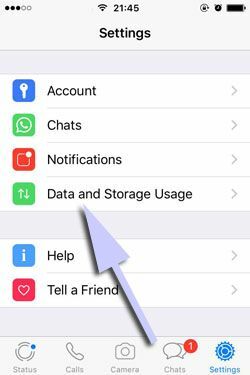 2-) Tap on settings which is located at the menu of WhatsApp Messenger application. 3-) Swipe down on the page of settings and then tap on “Data and Storage Usage”. 4-) Swipe down until you reach to the end of the page and tap on “Network Usage”. 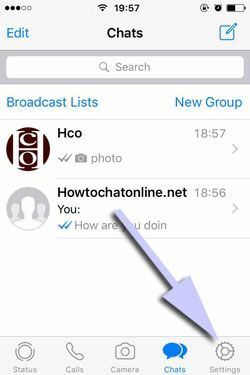 This is all you need to do for finding out the number of received messages on WhatsApp iOS. If you had trouble while you are applying the steps above, please let us know. We will respond you as soon as possible. You can use this feature free as we have described above. All you need to do is following steps which we have provided you. You can follow arrows which we have placed on the pictures of step by step guide. Tap on buttons which we have marked with arrows. If you have any other questions regarding this. Please let us know. How can I find this for Samsung Galaxy S6?